The last of the five naked-eye planets discovered in ancient times, Mercury has long been an elusive, enigmatic world. As seen from the Earth, it never emerges far from the Sun, and astronomers in the telescopic era found it challenging to work out such basic data as its rotation period, the inclination of its axis, and whether or not it possessed an atmosphere. In this up-to-date and beautifully illustrated volume, William Sheehan brings our understanding of the planet into clear focus. He deftly traces the history from the earliest observations right up to the most recent explorations using radar and spacecraft. The planet has been surveyed in great detail, revealing vast volcanic plains, water-ice deposits in craters near the poles, and a remarkable core having the highest iron content of any body of the Solar System. A fascinating world in its own right, Mercury also holds important clues for scientists attempting to better understand the origin and evolution of the Earth. 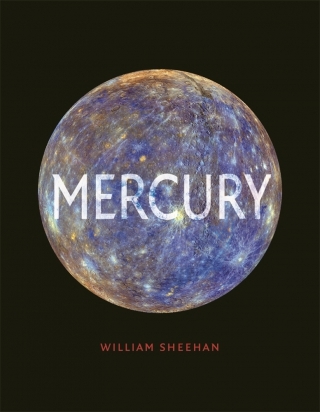 William Sheehan is a noted historian of astronomy, and amateur astronomer who has been an observer of Mercury and the other planets for many years. He has published numerous books on astronomy, including Planets and Perception (1988), The Immortal Fire Within: The Life and Work of Edward Emerson Barnard (1995), The Planet Mars (1996), Galactic Encounters and Celestial Shadows (both 2015) and Discovering Pluto (2018). He lives in Arizona, and asteroid 16037 is named Sheehan in his honour.